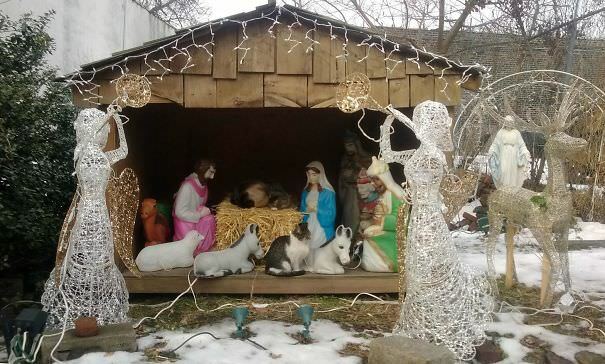 It’s nearly Christmas and the Jesus Nativity Scenes are in plain view all around. While they are pleasant and all, however they’re only the same over such huge numbers of years. Be that as it may, a few cats helped zest things up a tad. 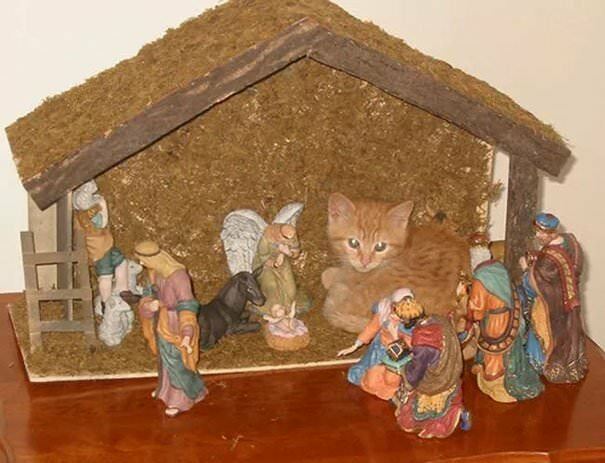 You know cats’ propensity to sit on nearly everything, even the most awkward spots, correct? 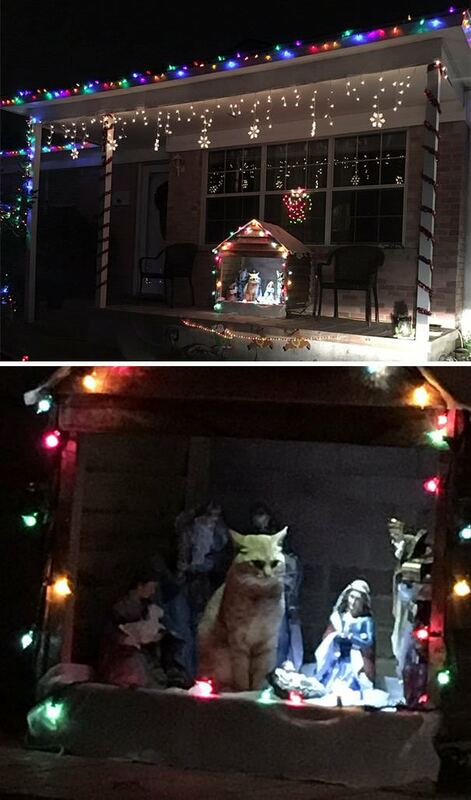 Better believe it, they make the nativity scene about themselves now. Each one of those modest individuals to trample more than, a trough to lie in, somewhat straw to sit on and in particular, being the focal point of consideration. Look down to look at them and disclose to us which is your top pick! 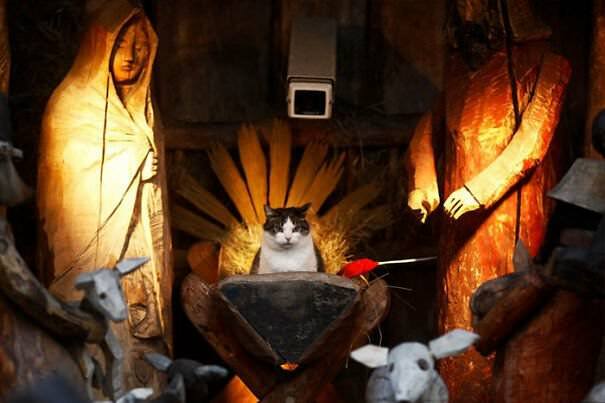 #1 A cat sits in the nativity scene outside a church. 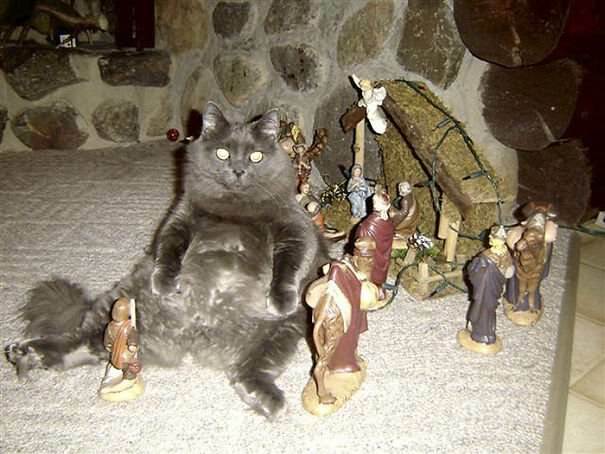 #2 And then the little baby Jesus was carried off by the catosaurus. The end. 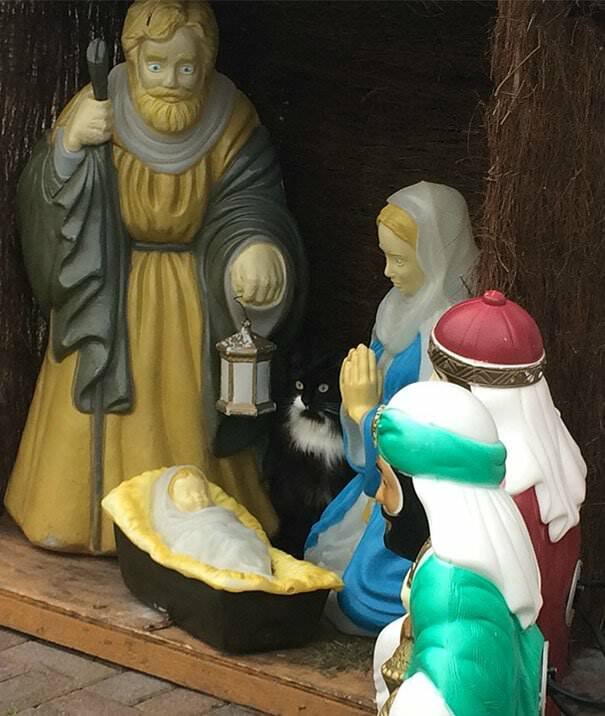 #3 Our cat Loki invaded next doors nativity scene, his face is hilarious. #4 Day 7. 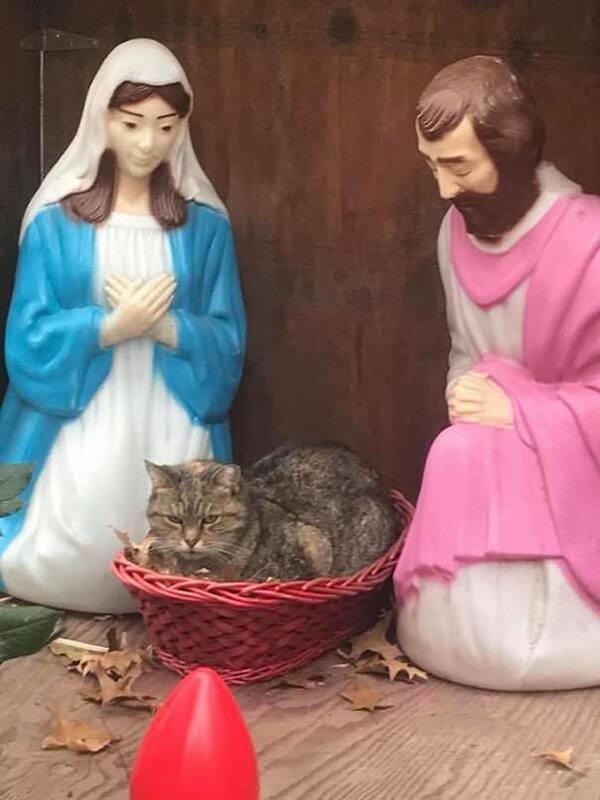 They still suspect nothing. 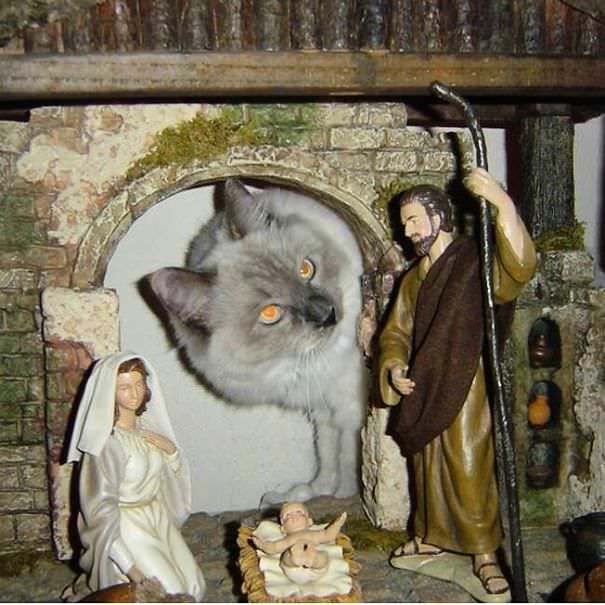 #5 The Jesus in our crib is a bit fat, furry and pointy eared… But undeniably cute! 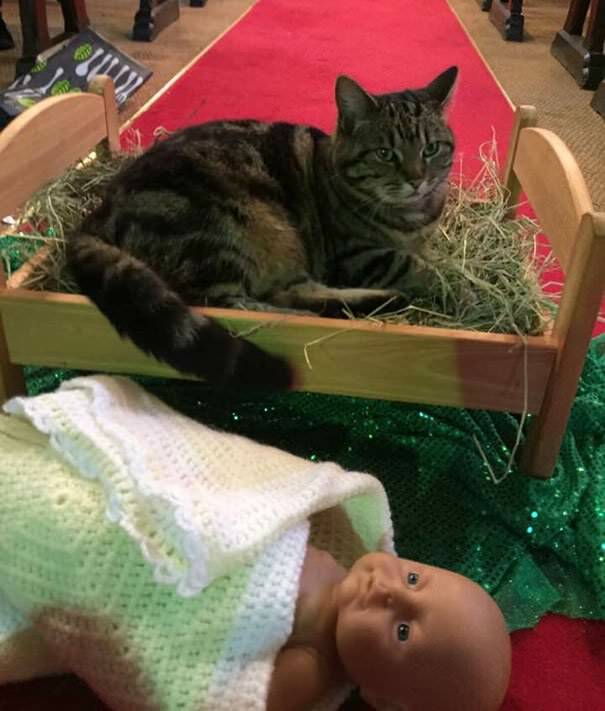 #7 At my friend’s church, the church cat has evicted the baby Jesus from the manger. 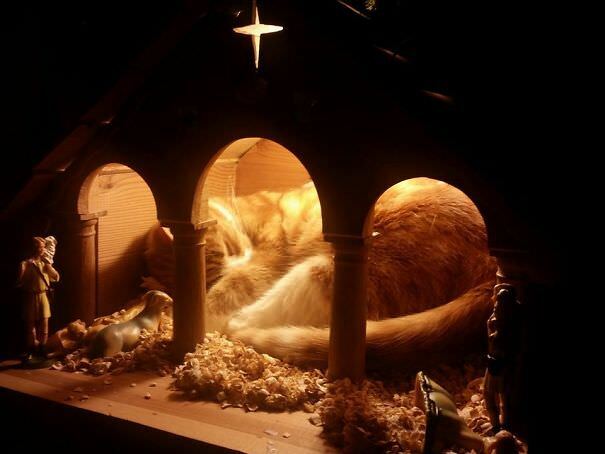 #10 My parents put up a nativity thing, tell me why my cat is chilling in there, lookin like Jesus.